Anatomy and physiology of the foot and ankle. Sprains, inflammation and swellings in the feet. 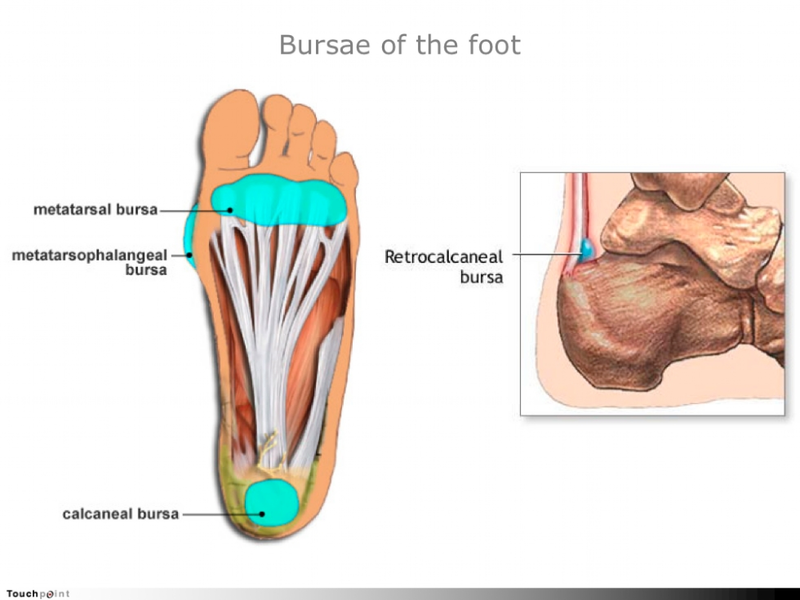 Bursae of the foot and their inflammation. Structural changes like: Heel spur, hallux valgus, fallen arches, etc. Better posture for better feet, postural correction techniques. Placement of selected reflexes in relation to tendons, muscles and attachment. 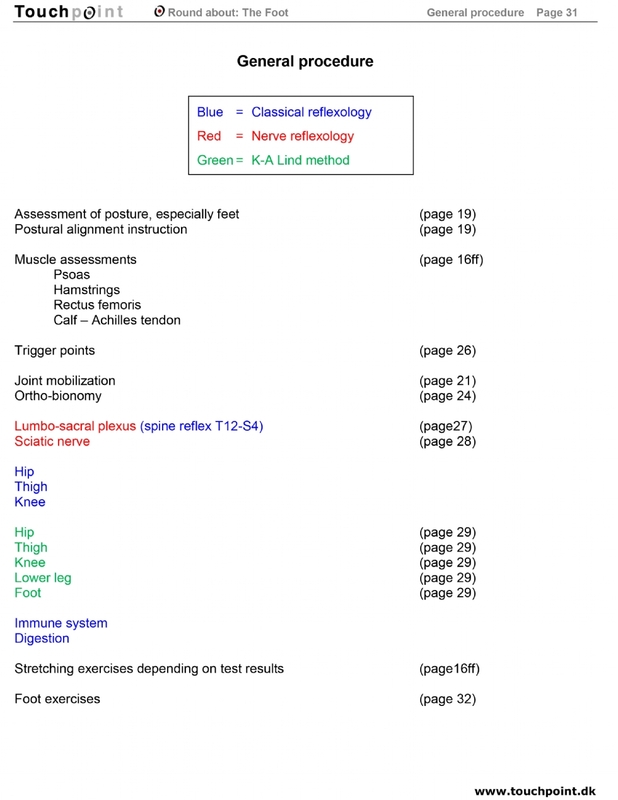 The foot reflex – on the foot. For most reflexologists the foot is their most important tool – Get to know it even better! From many colleagues we have heard statements like: ”I wish I knew more about the structure of the feet and about problems in the feet themselves”. We will take a detailed look at the parts that make up the feet: Bones, muscles, tendons, blood and nervous supply and study how they function together. This knowledge enables the reflexologist to work with the greatest efficiency and is necessary to gain the full value of many post graduate courses in reflexological techniques. You will learn to palpate the structures in the foot and simple techniques to mobilise all joints, which makes your reflexology work deeper and with less pain. Knowing how to distinguish between a tender foot reflex and a local problem in the foot is a valuable time saver which will also give you better results. - and you will learn to work the foot – on the foot! Involves an overload of the strong plantar fascia, where it adheres to the heel bone. The plantar fascia stretches when one steps down on the foot and when the Achilles tendon is tightened. It makes sense to look at the plantar fascia and Achilles tendon as one large tendon just making a stop-over on the heel bone. Plantar fasciitis is a common condition among runners and people who stand a lot. Overweight and high arches exacerbates the problem. It is also seen more frequently in the elderly, where the fat of heel pad has shrunk. People walking with straight knees and high heel impact have increased risk of developing heel spurs. 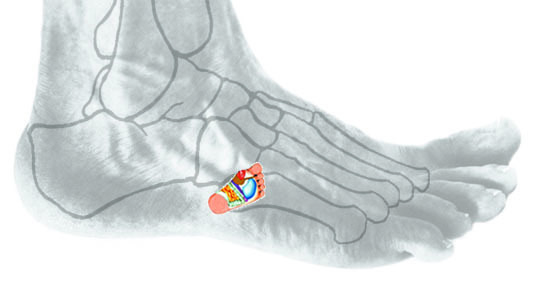 Symptoms are pain in the anterior part of the heel pad, most to the medial side. Passive dorsal flexion of the foot will increase pain. 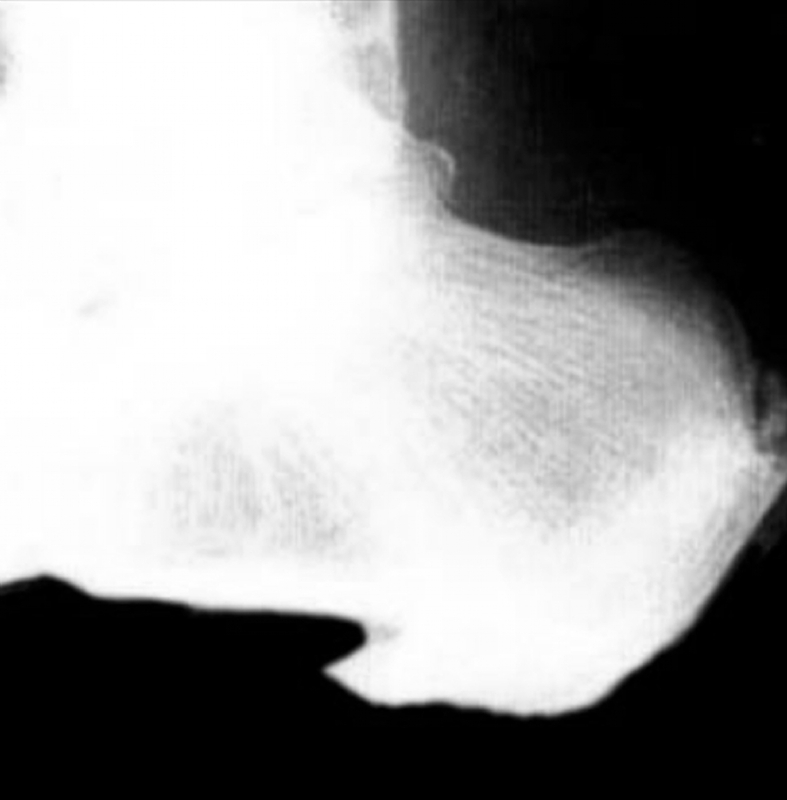 An X-ray will often show a small bony process on the anterior aspect of the calcaneal tuberosity where the plantar fascia attaches. This is the heel spur. However, there is no simple relationship between the occurrence of heel spurs and symptoms. In many cases where people have X-rays taken for other reasons, a heel spur can be seen, without it ever having caused any problems. If possible bring a foot skeleton model.